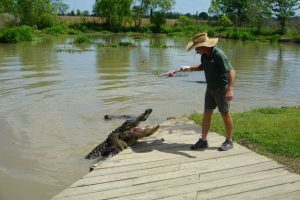 Warmer weather is on the horizon, and with that comes our swamp tours, live feedings, videos and nonstop entertainment from your favorite alligator crew. For those of you who have missed us this winter, don’t worry – we’re back in action this month and we’re gearing up for our not-to-be-missed live feedings, heading your way mid-March. To kick off the season, we’re testing your knowledge on all things alligators! Brush up on your alligator facts and put yourself to the test! We’ve got a couple tricks up our sleeves. Let’s play a little game of true or false. Alligators rarely live past 30 years. 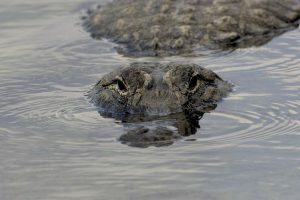 To date, the oldest alligator on record is in its early 70s! 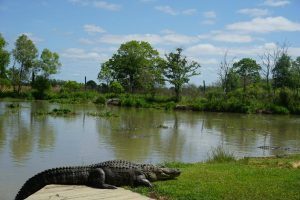 Alligators are unable to naturally regulate their temperatures. Reptiles depend on the sun and other forms of warmth to maintain a stable body temperature. An alligator can go through 2,000 teeth in a lifetime. Alligators have around 74 to 80 teeth in their jaws at any given time, and as they wear down or fall out they are replaced. Large alligators can go as long as 12 months with no food. 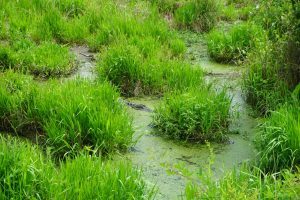 Alligators can go as long as 18 months with no food. 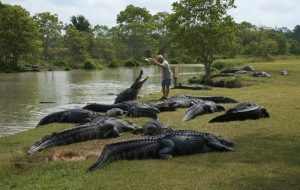 Alligators often stay in groups called congregations. These groups are typically seen basking in the sun or taking a swim together. Alligators grow to a maximum length of 10 feet. 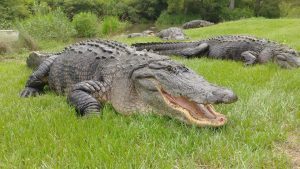 Alligators can grow up to a whopping 14 feet – the longest at Alligator Alley is Captain Crunch, who is 13 feet, 8 inches. With their eyes positioned on the sides of their head, they have a fairly wide range of sight. 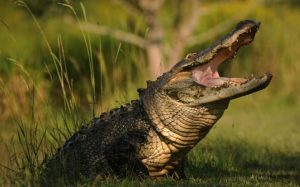 Alligators of 10 feet or longer can have as much as 1,800 pounds of bite. Why do you think we call him Captain CRUNCH!? So, how’d you do? 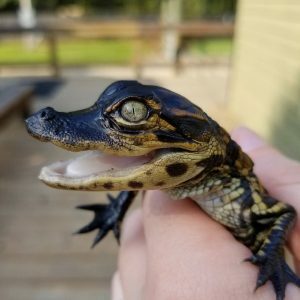 If you answered all of these correctly, you’re an alligator expert – congratulations, farm friend! If not, don’t worry! Swing by and give us a visit this month and we’ll teach you a thing or two.